Saturday 21 September 2013 is a significant date in the history of the museum, marking our renaissance as MTG Hawke’s Bay and the opening of our redeveloped building and exciting new exhibition spaces. This special day is also one that we share with Avis Higgs, one of Australasia’s most renowned textile designers and one that is dear to us here at MTG. Born on 21 September 1918, the Saturday of our opening day was also Avis Higgs’ 95th birthday. We were thrilled that Avis was able to join us at our preview event on the Friday night and share in the re-opening of the museum where we house a large number of her designs, fabric samples, garments and paintings. These wonderful items have found a home here at the museum since the touring exhibition Avis Higgs: joie de vivre, curated by Douglas Lloyd Jenkins in 2000. Douglas Lloyd Jenkins and Avis Higgs at the opening of MTG Hawke’s Bay. Image kindly supplied by Linda Tyler, Director of the Centre for Art Studies, University of Auckland. Avis Higgs was born in Wellington of joint Australian and New Zealand parentage and grew up in a family that shared a passion for art. Her own creativity was developed when Avis enrolled at the Art School of Wellington Technical College in February 1936. As a young design graduate, Avis secured a full-time position at National Distributors Ltd. in Taranaki Street, Wellington where she undertook lettering and occasional poster design. It was also here that Avis learnt the principles of screen-printing, a technique which would later become important in her design work. 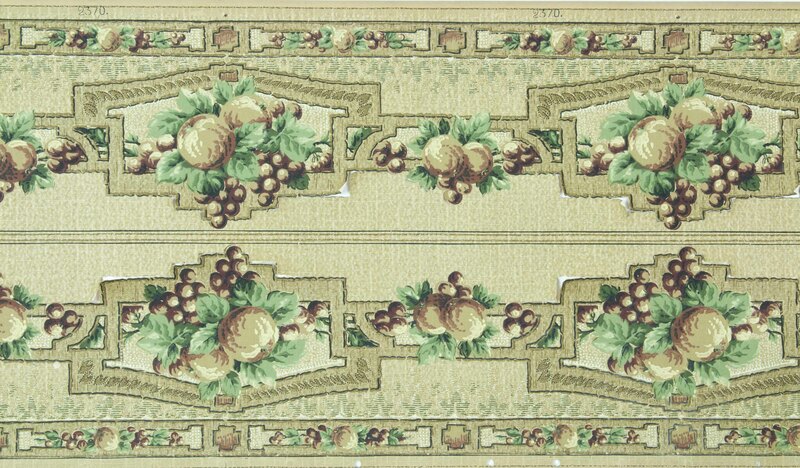 In 1941 Avis was appointed head designer for Silk & Textile Printers Ltd (STP) in Sydney. This company had been looking to hire an Australasian designer that could produce original designs at a time when inspiration from Europe was largely off-limits. During this period Avis Higgs was creating wonderfully innovative textile design inspired by her Sydney environment, including plant and marine life and trips to Bondi beach. In 1948 Avis headed back home to Wellington and was soon plotting her next adventure in London. To save money Avis took up a position designing cinema advertisements and at night she designed textiles in order to build up her portfolio. Once again, Avis turned to her surroundings for inspiration creating designs based on native plants, flowers, and taonga held at the National Museum. Avis Higgs arrived in England in July 1951. Despite a downturn in the textile industry at this time, her designs were well received by those who saw them. Unfortunately, Avis Higgs’ career in England was cut short due to a car accident and she returned to New Zealand in 1952. Throughout the following decades Avis Higgs was an active member of the arts community, widely exhibited and received numerous awards. In 2006 Avis Higgs was awarded the Governor-General’s Art Award for her contribution to New Zealand art and a retrospective of her work was held at the Academy of Fine Arts. MTG Hawke’s Bay recognises Avis Higgs’ contribution to design history and have represented her work in the exhibition Decorate: Design stories from the Hawke’s Bay Museums Trust collection. 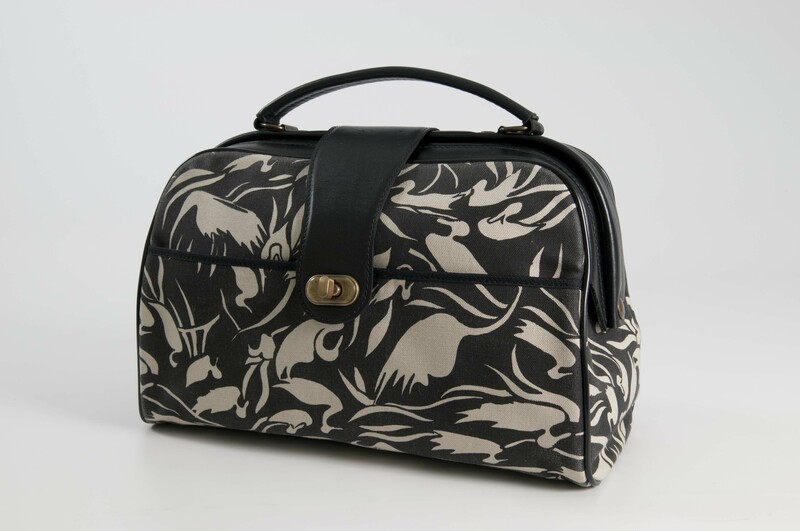 This exhibition will feature a printed rayon dress by Avis Higgs and a bag from Laurie Foon’s 2005/6 ‘Black Swan’ summer collection which incorporates Avis Higgs’ ‘Duckpond’ print designed in 1949. 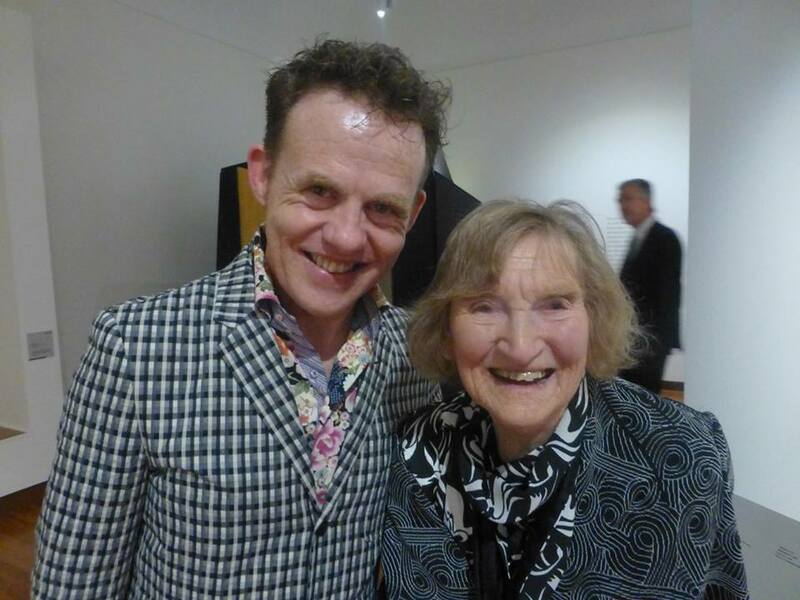 I have just returned from a flying visit to Te Papa, where I was speaking about one of my favourite designers from our fashionable past – the fabulous Vinka Lucas. My talk was part of the programme for Te Papa’s exhibition Unveiled – 200 years of Wedding Fashion from the Victoria and Albert Museum, London, and it lifted the lid on the bridal wonderland that Vinka, and her former husband David Lucas, developed in the 1960s. The focus of my talk was the innovation and big-thinking that made Vinka’s Maree de Maru boutique such a key destination for New Zealand brides. In contrast with the contemporary bridal industry, in which women largely expect to be provided with finished garments, Vinka established her business at a time when her core clientele wanted to sew their own gowns. To meet this market without compromising her vision as a designer, Vinka developed a comprehensive range of services that ranged from fully finished couture gowns through to customised mail-order patterns, fabrics and trims. With David Lucas working hard to cook up new marketing schemes and opportunities to promote Vinka’s designs, Maree de Maru soon become a high profile bridal business. 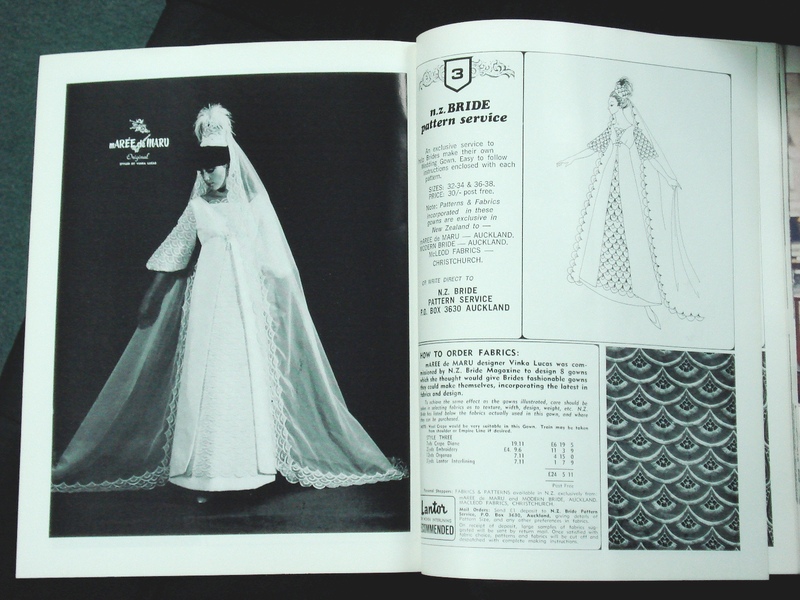 One of the things I spoke about at Te Papa was the pattern service that Vinka offered via Maree de Maru and a network of fabric stores the couple developed known as the United Bridal Salons. Using this service, brides across New Zealand could select a gown from a comprehensive catalogue of Vinka’s designs, purchase a customised paper pattern and specified material from a member of the United Bridal Salons network, and then get to work making their dream gown. Vinka's designs were available to brides across New Zealand via publications such as 'Maree de Maru Marriages' and 'New Zealand Bride'. Fabrics obviously became a key part of this process, and Vinka and David made considerable efforts to ensure that their business had a secure supply of exclusive fabrics. However, when Vinka required extra special fabric for a key showpiece gown, she often went beyond the existing supply chain and commissioned customised fabrics. It was these unique gowns that were on display in the Maree de Maru salon, and appeared in private showings and bridal parades, inspiring brides across New Zealand. 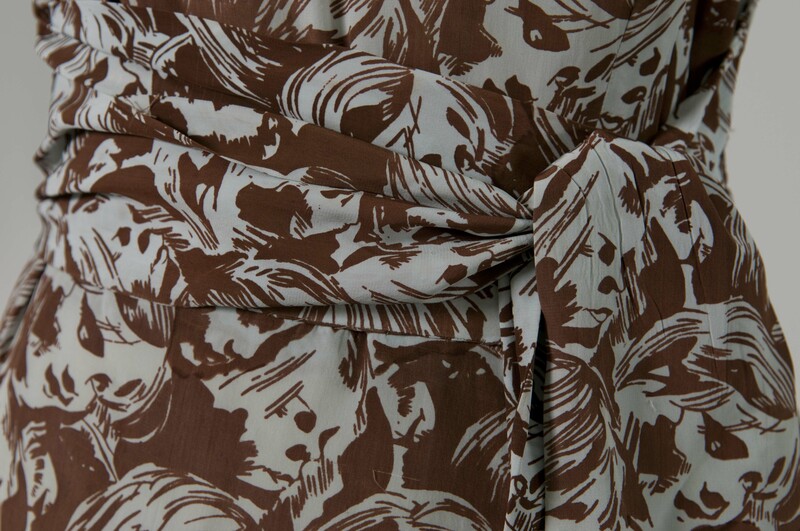 The Hawke’s Bay Museums Trust textile collection is lucky enough to include one of these rare examples of a custom-printed Maree de Maru wedding dress, donated to the collection by Vinka herself in 2009. 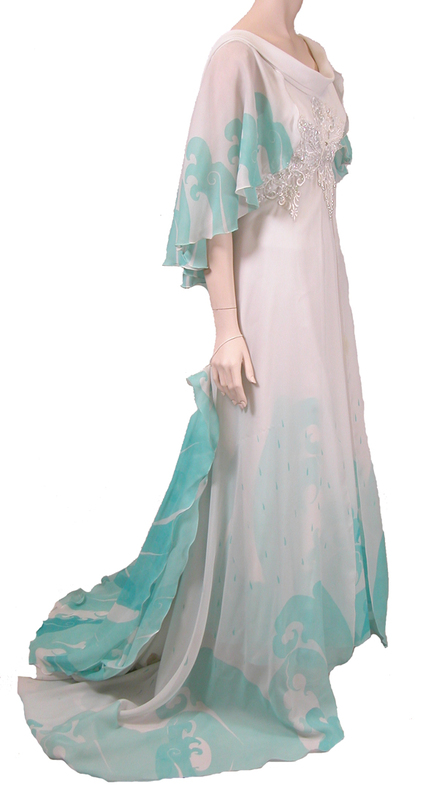 Vinka's gown is now in the collection of Hawke's Bay Museum's Trust / Ruawharo Ta-u-rangi (2009/36). The beadwork was retrospectively added by the designer many years later. 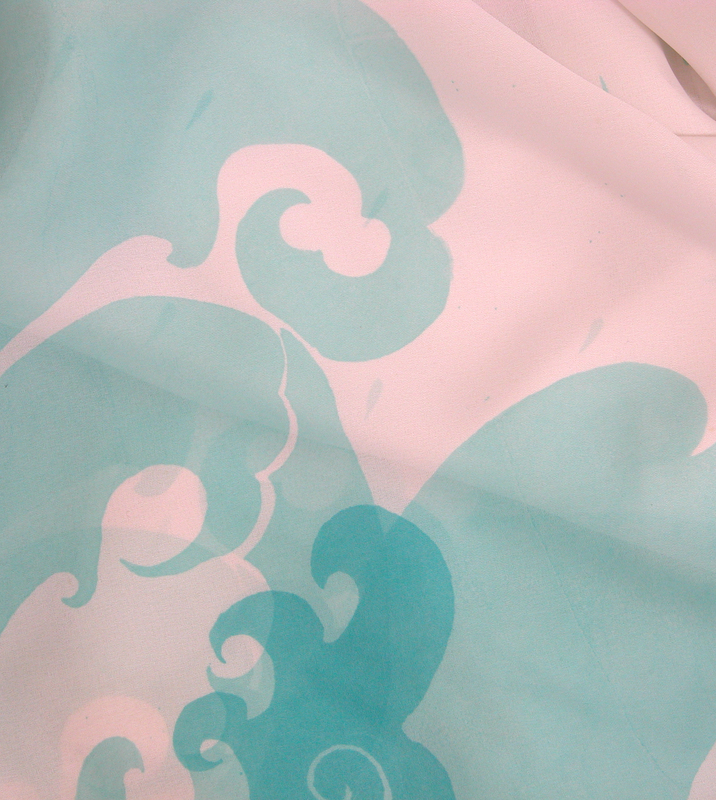 The fabric of this gown was printed by a Bronwen Mooney – a screenprinter who completed several key commissions for Vinka. Various sources I have come across have led me to understand that Mooney worked in Hawke’s Bay for a period of time, and I wonder also if she might be a textile printer that also collaborated with Taumarunui designer Michael Mattar. 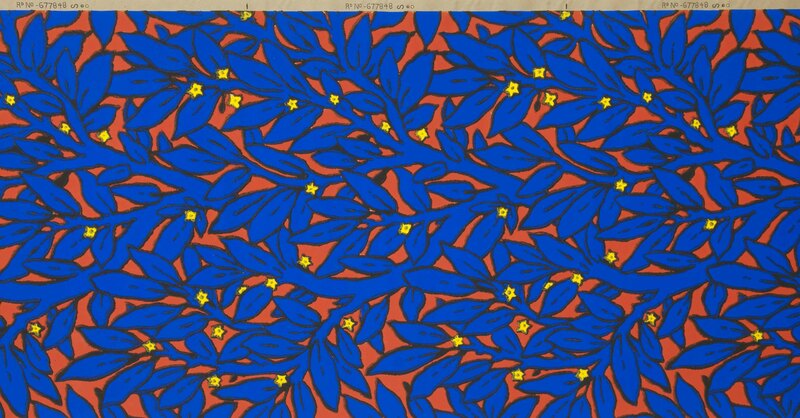 I would very much like to find out more about Mooney as a textile designer, as her work would have such a good fit with the strong New Zealand textile design and fashion collection held here at HBMAG. 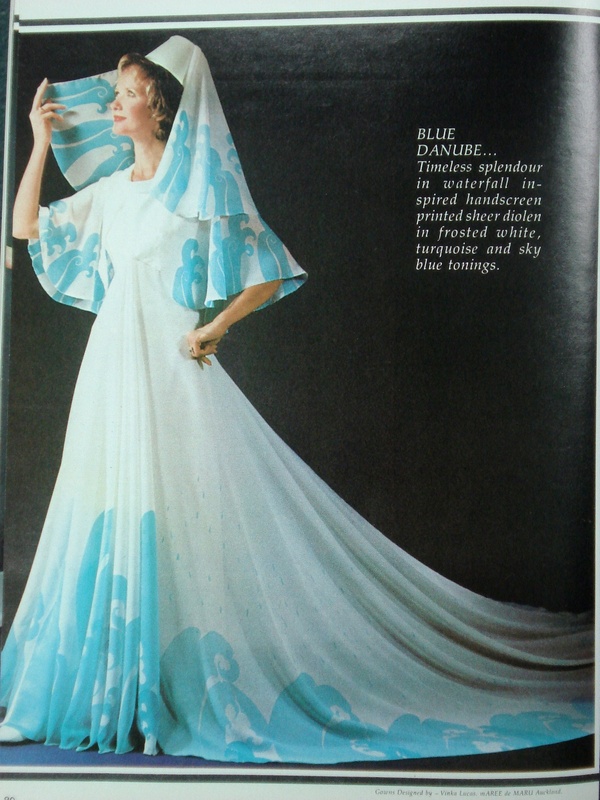 This talk was a lovely excuse to delve back into the wonderful world of Vinka Lucas, and find out a little more about a designer who has made such a big contribution to New Zealand fashion history. One of our most interesting ‘while we are closed’ activities is James’ framing project. Every time I’m in the collection store there is an intriguing assortment of work from the Hawke’s Bay Museums Trust (HBMT) fine art collection out of their crates. Douglas pointed out this work to me last week as I’m doing some research into the work of New Zealand artists in North Africa in the early 20th Century. I rather liked this scene of a bright orange tent, pitched under the shifting shadows of a cork tree, looking out on olive trees and the dazzling blue of the Mediterranean. The artist is New Zealander, Beatrix Charlotte Dobie (1887 – 1944). Beatrix must have been a rather intrepid and determined woman to travel in this part of the world in the 1920s and 30s. 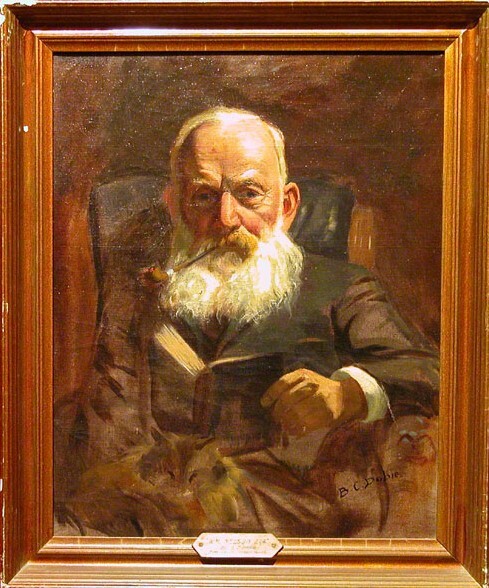 I found myself curious about her; and the connection inferred by this painting with Hawke’s Bay farmer, naturalist and author Herbert Guthrie-Smith. 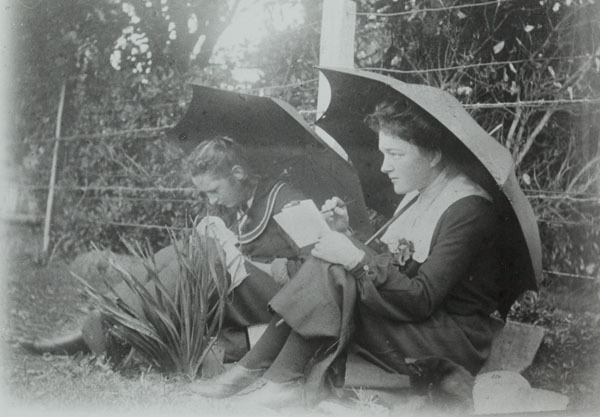 Beatrix Dobbie was born in Whangarei in 1887, daughter of Herbert Dobbie, a well-known stationmaster, botanist and writer. In 1911 she travelled to London with her friend Esther Barker (later Hope) to study painting at the Slade School of Art, under Henry Tonks. It was at this time she changed her last name to Dobie. With the outbreak of the First World War she and Esther volunteered for the Red Cross and were stationed in Malta, and later at the New Zealand transfer camp in Codford, England. 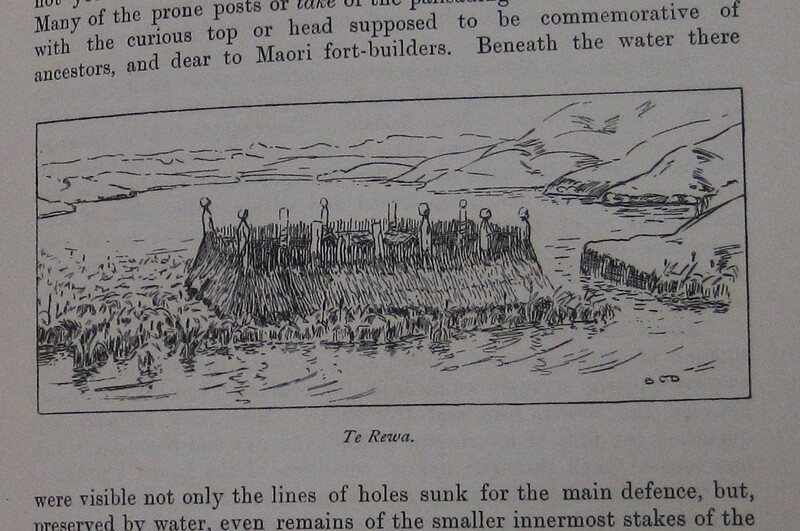 After the war she returned to New Zealand and exhibited regularly at the Canterbury Society of Arts. 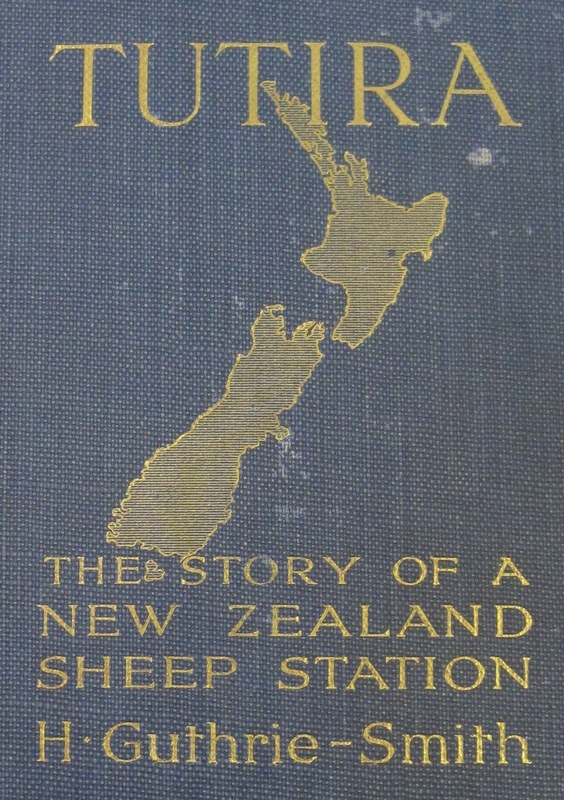 The connection to Guthrie-Smith is here discovered, as it turns out that she illustrated his wonderful book Tutira: the story of a New Zealand sheep station, first published in 1921. The painting must have been presented to Guthrie-Smith by her in remembrance of this collaboration, Guthrie-Smith in turn gifting it to the HBMT before his death in 1940. In 1926 Beatrix went abroad again, this time on a painting tour of Africa, and while in Tunisia she met and married Rene Vernon, an engineer with the French Army. They lived in Sfax and later Beja, and Dobie continued to paint, sending pictures to exhibitions abroad, including the Empire Exhibition of 1937. Despite civil unrest in Tunisia, and later the outbreak of the Second World War, they remained in Beja, keeping an open house to Allied servicemen. As fighting raged within miles of her home she slept with a dog beside her and pistol under her pillow for protection. While not in the first tier of New Zealand’s expatriate artists, Beatrix certainly achieved some success as an artist in her lifetime, and deserved the epitaph a ‘varied career of unusual interest’ bestowed upon her by the Evening Post when reporting her death in Tunisia in 1944. The HBMT holds another work by Beatrix – an undated, untitled landscape, possibly of a Hawke’s Bay scene. We also have a work painted in 1911 of Hawke’s Bay farmer and industrialist William Nelson which has been on loan to us from the Napier Borough Council since 1940. In 2002 Whangarei Art Museum held an exhibition on Beatrix and her father called Portraits of Place, with loans from HBMT (including North African Coast). 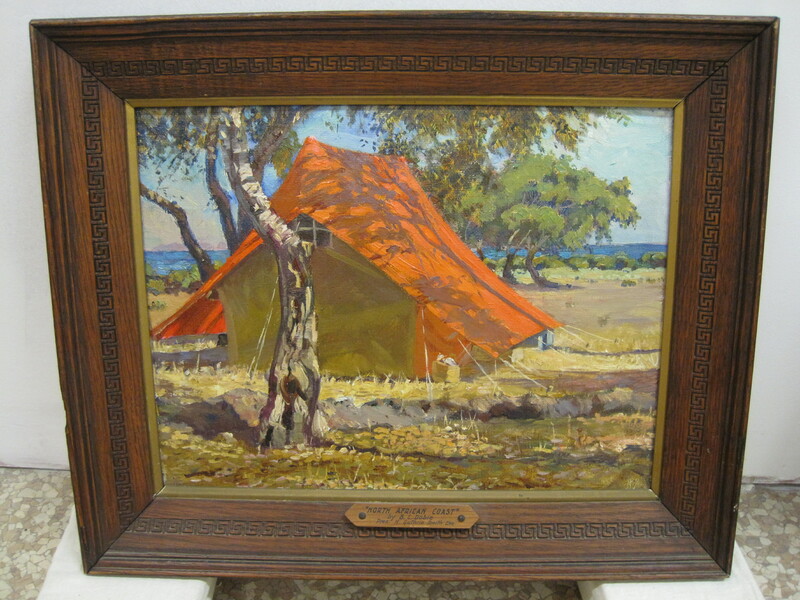 If anyone knows the whereabouts of other works by Beatrix Dobie painted in Malta and North Africa, or knows more about her connections with Hawke’s Bay please get in touch.